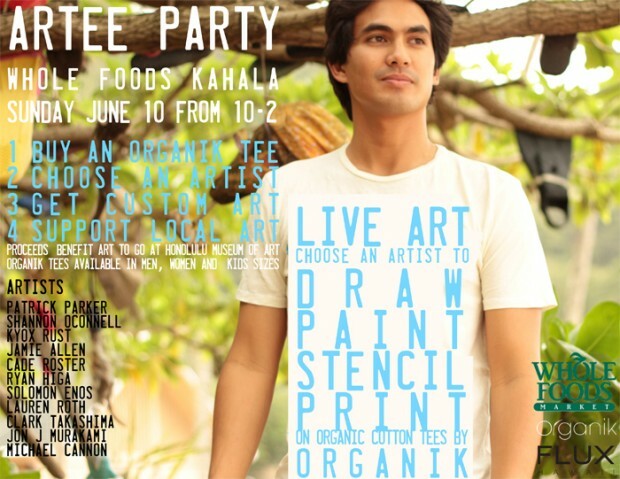 Eleven of Hawaii’s top artists gather at Whole Foods Kahala, Sunday, June 10, for the arTEE Party. Visit the Whole Foods Kahala location, buy an organic tee, thenget an original design by the artist of your choice. Proceeds help to support the Art To Go art education program at Honolulu Museum of Art.